I have collected information about the vehicle I own: A Volkswagen Van from the forth generation, the Volkswagen T4. The information on the pages are often not available in englisch. But you might get a readable translation using an online translation program. If someone likes to help me translating the pages from german to english: Feel free to contact me by email. You can find my address on this page: Contact. I can read and answer mails in english or german language. You can find my very own experiences with lpg (liquefied petroleum gas) combined with my T4 VR6. Besides there are profiles from other peoples Volkswagen Bus that are equipped with lpg or cng, too. And last not least you can find a bunch of tipps and tricks to customize your own vehicle. 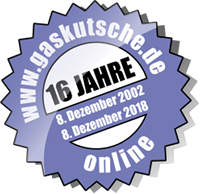 Der Inhalt dieser Seite wurde zuletzt am 11. März 2011 bearbeitet.